The Bauhaus bowl by Alessi was designed by Marianne Brandt back in 1928. The German designer was the only woman in the Bauhaus metal workshop and is still famous today for her timeless and metal designs. The deep bowl with a diameter of 19 cm is made of polished stainless steel and is decorative on the dining table or on the shelf in the living room or on the worktop in the kitchen. The bowl is also an eye-catcher on the chest of drawers in the entrance area. In the bowl you will find various things like fruit, snacks and the house key. The Bauhaus bowl by Alessi was designed by Marianne Brandt in 1928. 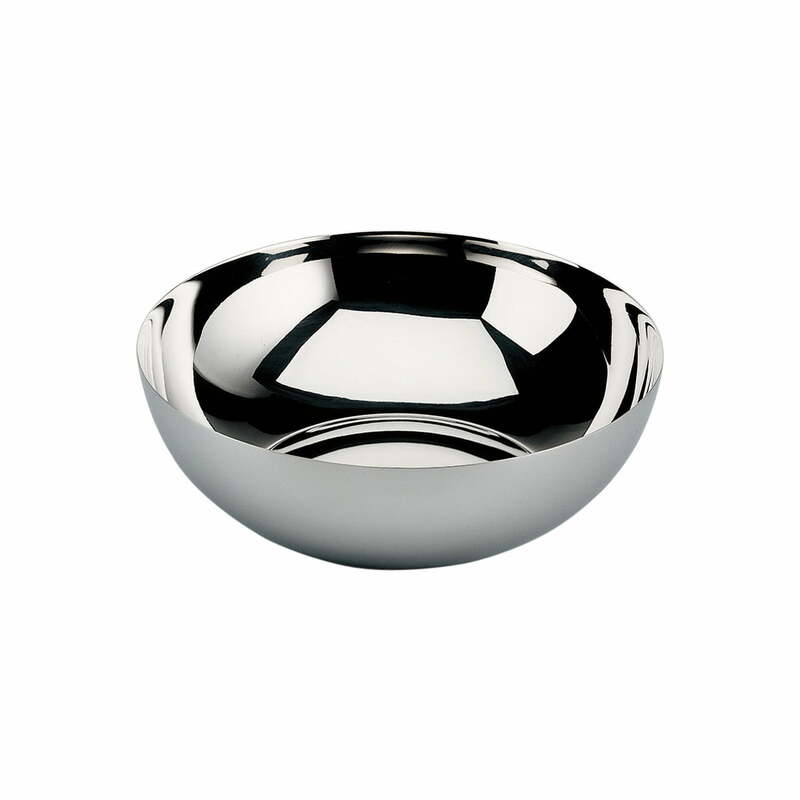 The deep bowl Ø 19 cm is made of polished stainless steel and looks good on the dining table or on the shelf in the living room or on the worktop in the kitchen.